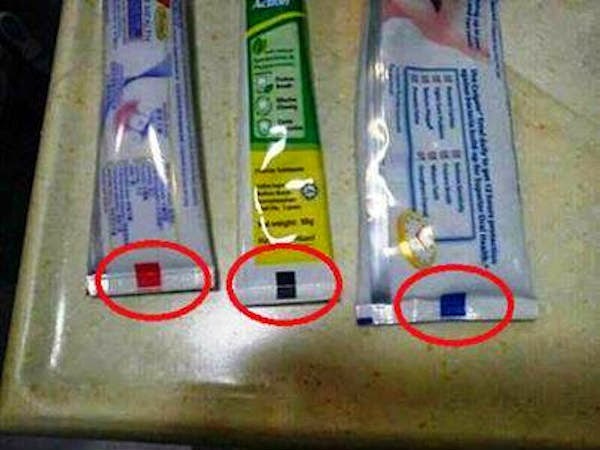 Not many of us pay attention of the toothpaste bottom color we buy. After reading this, I bet you will consider the details which are telling a lot about your toothpaste. What you need to do is have a look at the bottom of the tube, where you will find a colored stripe. Toothpastes have different colors of stripes, depending on their composition. You need to be able to recognize them. On the other hand, even though this information is available to customers, there are opposed claims that they have nothing to do with the ingredients of the product. Accordingly, you can find all this information on the list of ingredients. The decision is yours. If interested, you should do a further research on the topic and find out which is the right way to select the perfect toothpaste for you. Good Luck !